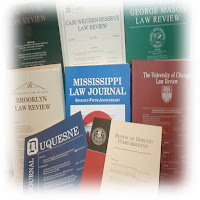 Two new law review articles (from the New York Law School Legal Studies Research Paper Series) have been added to the Law Review Article section of the ICDP blog. Although not directly addressing Atkins-specific issues, the articles do touch on a related issues such as mental health, therapeutic jurisprudence, mental disability, insanity, and prisoners rights. The first article is authored by Michael Perlin and the second by Perlin and Dlugacz. The titles and abstracts of the articles are listed below together with links to where the articles can be viewed and/or downloaded as PDF files. Little attention has been paid to the importance between therapeutic jurisprudence (TJ) and the role of criminal defense lawyers in insanity and incompetency-to-stand-trial (IST) cases. That inattention is especially noteworthy in light of the dismal track record of counsel providing services to defendants who are part of this cohort of incompetency-status-raisers and insanity-defense-pleaders . On one hand, this lack of attention is a surprise as TJ scholars have, in recent years, turned their attention to virtually every other aspect of the legal system. On the other hand, it is not a surprise , given the omnipresence of sanism, an irrational prejudice of the same quality and character of other irrational prejudices that cause (and are reflected in) prevailing social attitudes of racism, sexism, homophobia, and ethnic bigotry, that infects both our jurisprudence and our lawyering practices, that is largely invisible and largely socially acceptable, and that is based predominantly upon stereotype, myth, superstition, and deindividualization, is sustained and perpetuated by our use of alleged "ordinary common sense" (OCS) and heuristic reasoning in an unconscious response to events both in everyday life and in the legal process. In Part I of this paper, I will examine the literature that seeks to apply TJ principles to the criminal law process in general, drawing mostly on the work of Professor David Wexler. In Part II, I will consider why the lack of attention that I have referred to already is surprising (given TJ’s mandate and the fact that many TJ issues are inevitably raised in any insanity or IST case). In Part III, I will then consider why this lack of attention is not surprising, given the omnipresence of sanism. In Part IV, I will consider some of the actual counseling issues that might arise in these contexts, and offer some suggestions to lawyers representing clients in cases in which mental status issues may be raised. 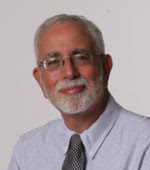 I conclude the paper by concluding that we must rigorously apply therapeutic jurisprudence principles to each aspect of the insanity defense, so as to strip away sanist behavior, pretextual reasoning and teleological decision making from the insanity defense process, so as to enable us to confront the pretextual use of social science data in an open and meaningful way. This gambit would also allow us to address – in a more successful way than has ever yet been done – the problems raised by the omnipresence of ineffective counsel in cases involving defendants with mental disabilities. Over the past three decades, the US judiciary has grown increasingly less receptive to claims by convicted felons about the conditions of their confinement while in prison. Although courts have not articulated a return to the 'hands off' policy of the 1950s, it is clear that it has become significantly more difficult for prisoners to prevail in constitutional correctional litigation. The passage and aggressive implementation of the Prison Litigation Reform Act has been a powerful disincentive to such litigation in many areas of prisoners' rights law. From the perspective of the prisoner, the legal landscape is more hopeful in matters that relate to mental health care and treatment. Here, in spite of a general trend toward more stringent applications of standards of proof and a reluctance to order sweeping, intrusive remedies, some courts have aggressively protected prisoners’ rights to be free from 'deliberate indifference' to serious medical needs, and to be free from excessive force on the part of prison officials. A mostly hidden undercurrent in some prisoners' rights litigation has been the effort on the part of some plaintiffs' lawyers to look to international human rights doctrines as a potential source of rights, an effort that has met with some modest success. It gets support by the inclination of other courts to turn to international human rights conventions, even in nations where such conventions have not been ratified, as a kind of 'best practices' in the area. The recent publication and subsequent ratification (though not, as of yet, by the United States) of the UN Convention on the Rights of Persons with Disabilities (CRPD) may add new support to those using international human rights documents as a basis for litigating prisoners' rights claims. To the best of our knowledge, there has, as of yet, been no scholarly literature on the question of the implications of the CRPD on the state of prisoners' rights law in a US domestic context. In this paper, we raise that question, and offer some tentative conclusions.